An estimated 11.4 million tons of food from restaurants are wasted annually, costing the industry over $25 billion. Photo credit: Scott Gordon Bleicher. Addressing food waste isn’t just the right thing to do—it also saves money, increases food security, and spurs economic growth. 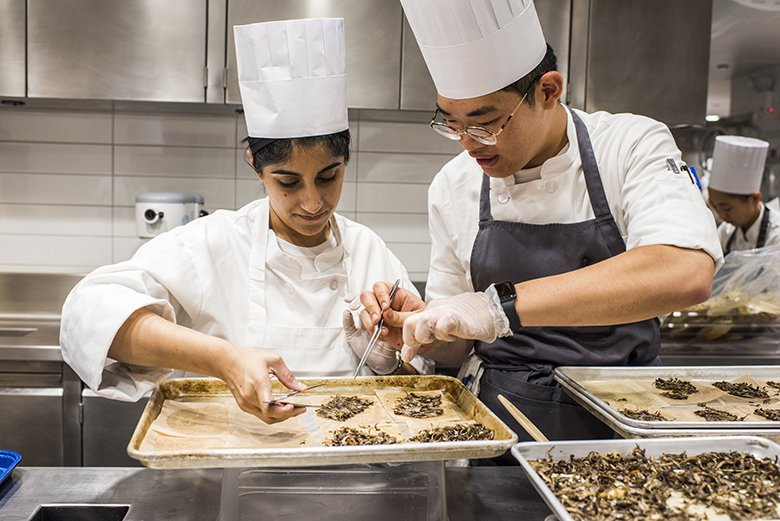 With the release of its Restaurant Food Waste Action Guide, the multi-stakeholder non-profit ReFED presents a series of solutions to help leaders in the restaurant industry develop and implement strategies to reduce their food waste. The fifteen solutions described in the Guide, like those in the Road Map that ReFED released in 2016, are broken into three categories. Prevention reduces the amount of unsold food, recovery donates surplus food to the hungry, and recycling diverts food waste from landfills into other uses such as composting and animal feed. 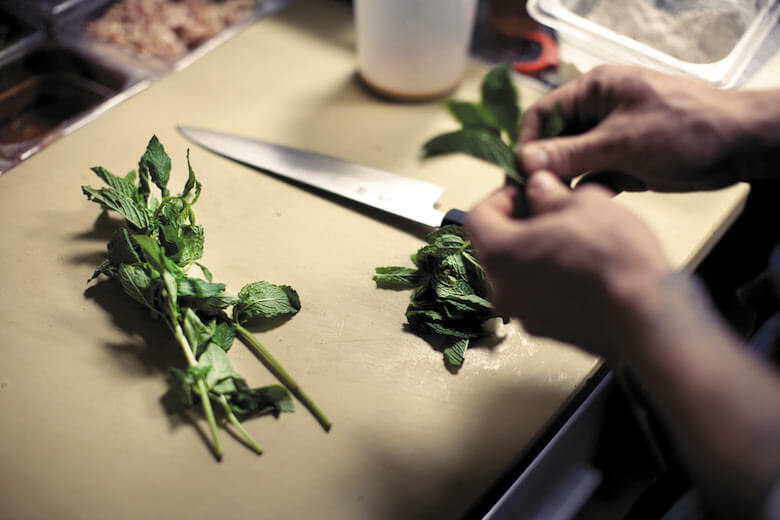 Each solution is assessed for its profit potential and feasibility—the level of effort and financial capital involved—in order to help restaurants prioritize their efforts. Prevention solutions are the most cost effective. 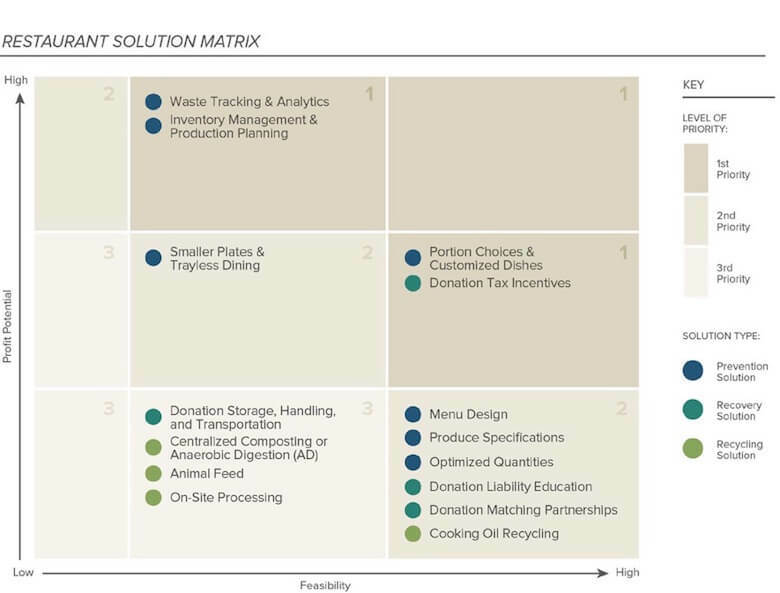 Some are simple and intuitive, like waste tracking and analytics to better understand where, how and why food is being wasted and target actions accordingly. Some are creative, such as designing a menu that uses different parts of the same ingredient in multiple dishes. 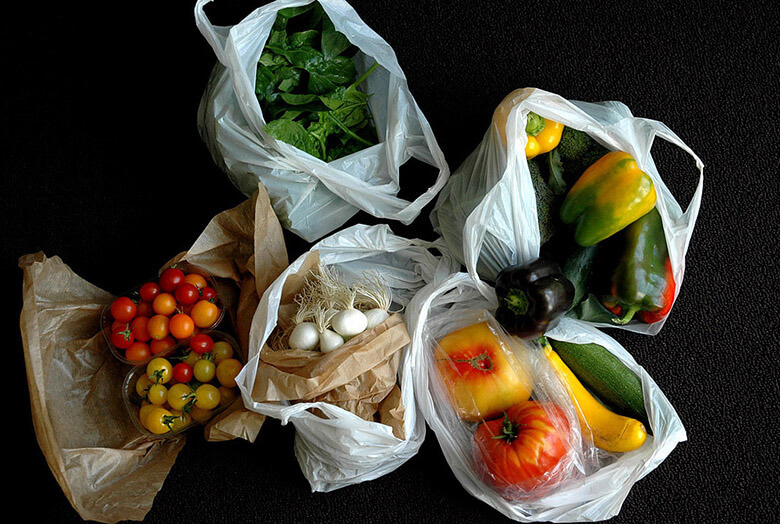 To get started with food recovery programs, ReFED recommends that restaurants familiarize themselves with tax deduction policy and the Bill Emerson Good Samaritan Food Donation Act protects donors and recipients from liability, making it easier for restaurants to contribute to food donation organizations. In the third and final bucket, recycling, restaurants are encouraged to explore composting and anaerobic digestion, diverting waste from landfills and thereby reducing their CO2 emissions. Food waste reduction goals should be quantifiable and actively tracked, public-facing to increase accountability and adaptive as practices improve. Every restaurant is different, and there is no one right way to reduce food waste. 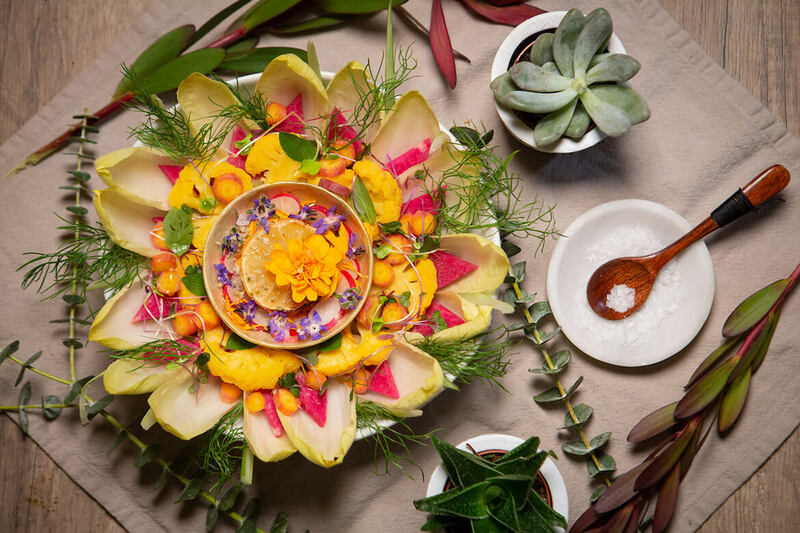 With detailed descriptions of the strategies, benefits and best practices of various food waste reduction efforts, ReFED is helping the restaurant industry pave the way to a less wasteful food system.